Green tea polyphenol, extracted and isolated from green tea, is a new natural high-tech product, containing plenty of catechins, flavonoids, etc. 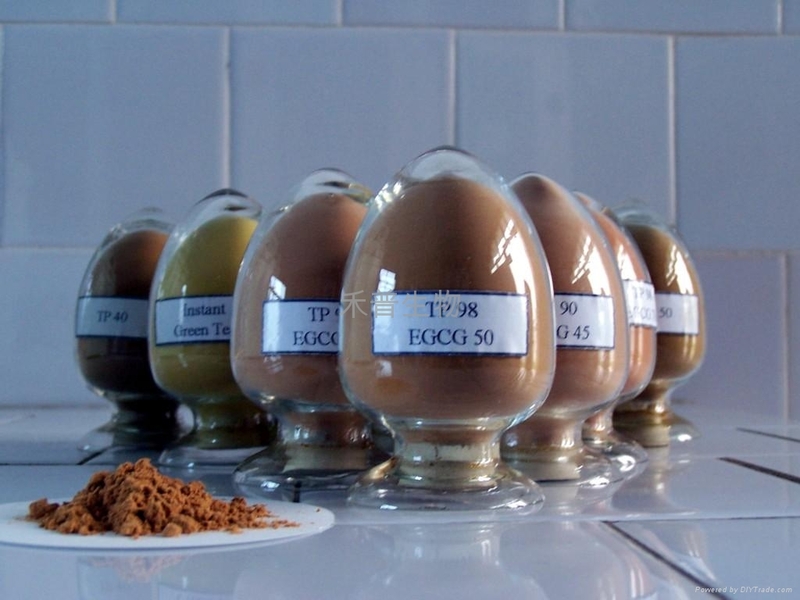 Now, tea polyphenol (TP) has been widely applied in foods, cosmetics and medicine industry. 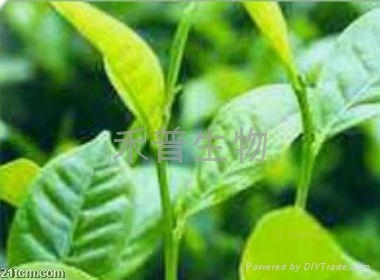 TP shows excellent antioxidative effect on fat and oil-containing foods. The inhibitory rates for peroxide value are 95 and 90 percent for lard and fried instant noodles, which are better than those of BHA, BHT, VE, and etc. Furthermore, TP appears synergetic effect with vitamin E, vitamin C and citric acid, and etc. It can also improve the stability of vitamin A, B2 and β -carotene in foods, inhibit the propagation of bacteria. TP is used as a food additive, like chewing gum, toothpaste, deodorizing and eliminating the halitosis, anticaries. It can prevent body's lipid from oxidization. Moreover, TP can stabilize the food color. TP is the health-care products. So far, some new products (like oral liquid, capsule) have been sold in market's shows a good prospect in cosmetics. The flavanols of the tea polyphenol in wavelength 200-300nm appears absorbing peak, TP is called the filter of the ultraviolet rays. TP appears on anti-inflammation and itch. Tea polyphenol supplies with active -OH helping to eliminate the excess free radicals. 1. To cure cardiovascular diseases. TP shows good effects on fibrinolysis and anti-blood agglutination, especially the free catechins, which possess the ability to prevent platelet from agglutination. 2. To inhibit arteriosclerosis, reducing the possibility of hypertensive and coronary heart disease. 3. Anticarcinogenic, it possesses the ability of blocking the formation of endogenous nitrosoamine, which is a carcinogen. 4. To strengthen the capacity of human immunity, antisenescent activity. 5. To enhance the tenacity and permeating ability of blood capillary, and improve the resistance of blood vessel.